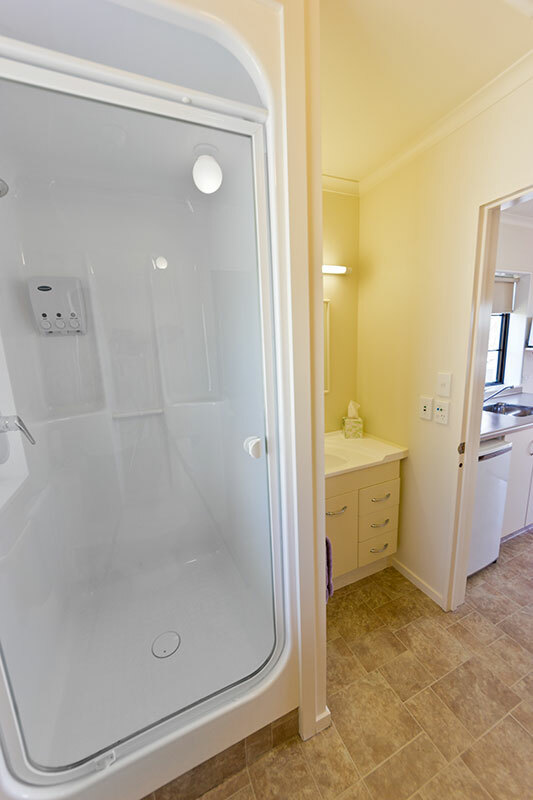 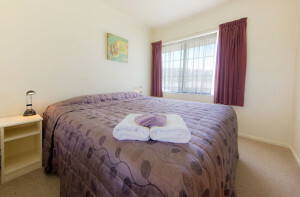 This upstairs 1 bedroom unit has a comfortable king bed (or 2 twin single beds if preferred), and an ensuite with shower. 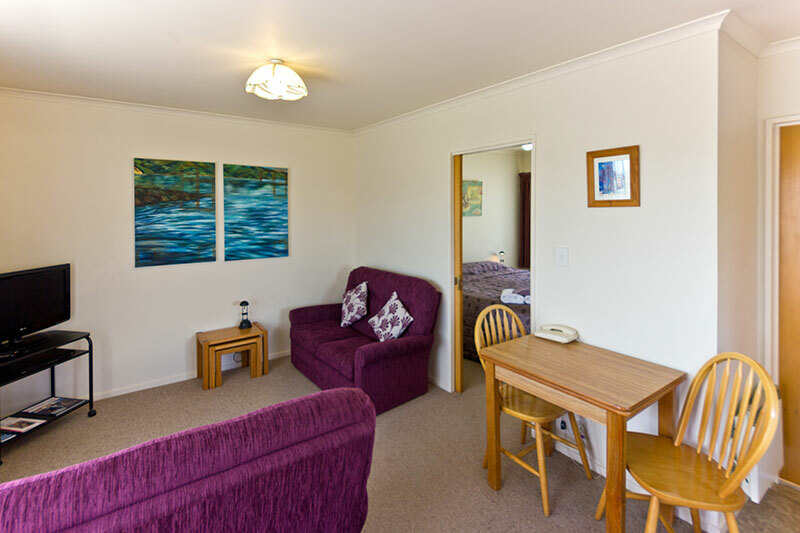 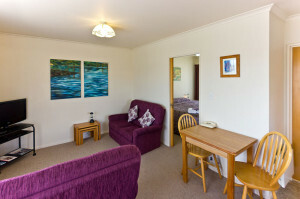 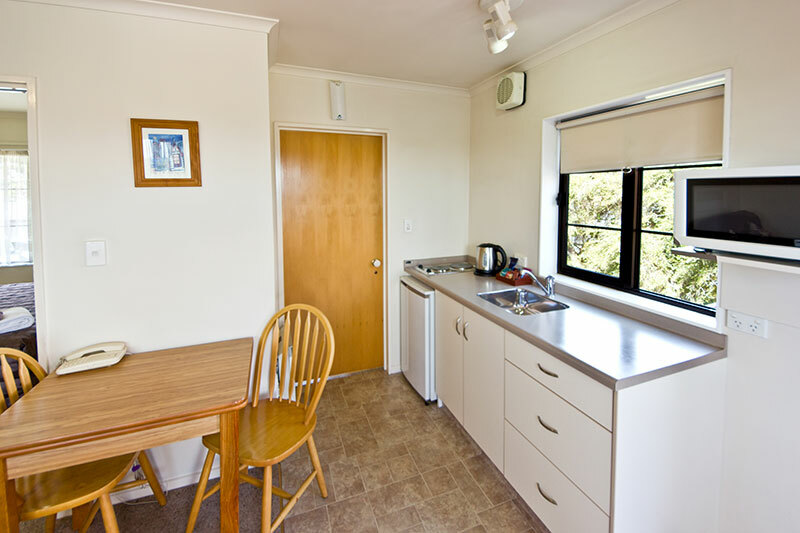 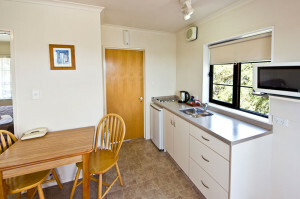 It has well-equipped cooking facilities, flat screen TV and DVD player, and two single sofa beds. Situated at the back of the property, it has its own private access stairway and a balcony off the lounge which looks out to the back beach and across to the mountains.